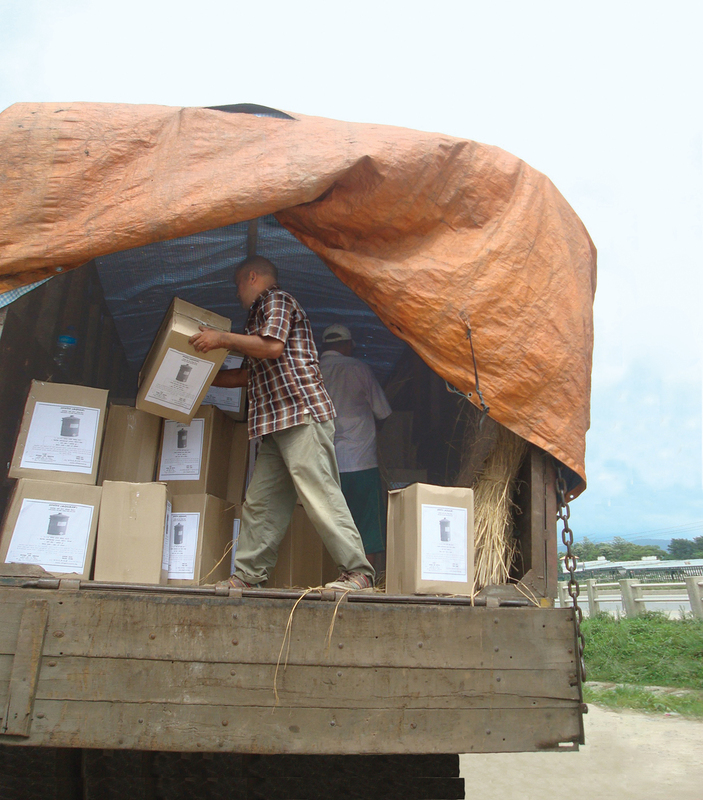 Aquasif systems are packaged, labeled and loaded onto trucks for distribution to local shops, schools, households, clinics, and other institutions across Nepal. This also includes shipments to supplement the inventory of our microbusinesses. Careful packing and ‘nesting’ in straw minimizes breakage, and insures delivery of a high quality unit to all customers.